As for cupping, you can enjoy special tasting of a wide range of coffee from all over the world. Cupping will be presented and commented by experts. 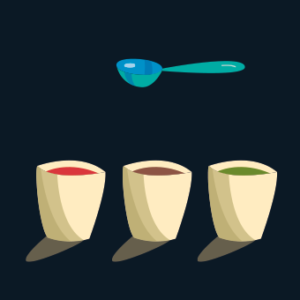 Cuppings will be held during both festival days without the need for prior registration. As the tasting will be placed on five cupping tables in one large room, you will be able to try coffee from all the participating roasteries. Everybody who would like to try several kinds of coffee from one roastery will then be able to sign up for this specific roastery’s presentation through the online system. Presentations will be held separately in one smaller cupping room. If you don’t have an experience with cupping, we would recommend you to register for a cupping workshop at first, so you can enjoy full tasting experience. If you came to like some of the coffee, don’t hesitate to visit festival stand, where all of the presented kinds of coffee will be available for sale.